The “Boutique Ports” project highlights the role of several small Western Mediterranean cruise ship ports. The goal of the project is to jointly promote itineraries and destinations, by means of a services catalogue that offers high-end standards for cruise ship tourists. The cruise industry underlines the need for cooperation and synergies amongst ports and destinations to give greater added value to cruise ship activity. In this context, several small and mid-sized ports in the Western Mediterranean belonging to MedCruise (the Association of Mediterranean Cruise Ports) have joined forces on the “Boutique Ports” project, thanks to the impetus that MedCruise gives to the industry. 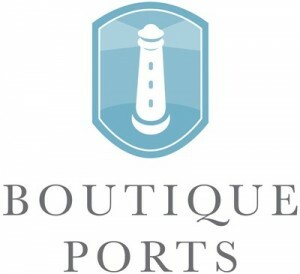 The “Boutique Ports” brand is aimed at a discerning and affluent target market who are used to sailing on luxury liners in search of unique destinations. Passengers will be able to set off on tours from these ports and visit the cultural, historical and natural attractions of the town and its destination. The port authorities, ports and institutions taking part in this initiative are: Ports of Catalonia with the ports of Palamós, Roses and Sant Carles de la Ràpita; the French Riviera Chamber of Commerce, with the port of Nice; the Port Authority of Piombino and Elba, with the port of Portoferraio (Italy), the Port Authority of Northern Sardinia, with the port of Olbia (Italy); and the port of Sété (France).